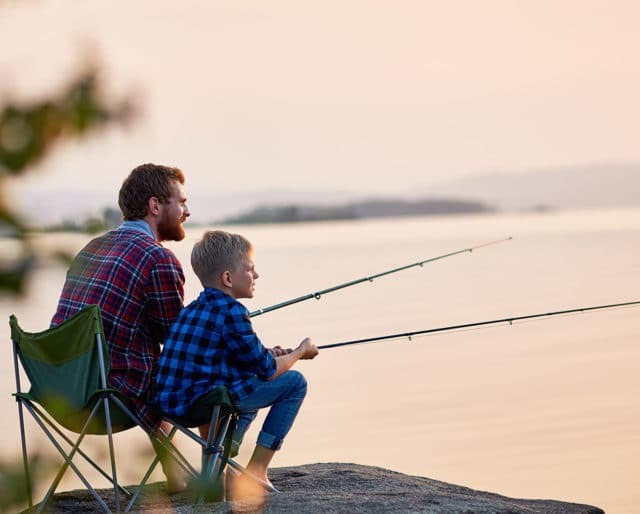 Observed annually on June 18, National Go Fishing Day is a great day to take time from your daily routine to find a stream, a lake or pond, bait your hook, cast your line and catch a fish or two (or ten). Fishing is a recreational pastime of many, and if you’re lucky, you can bring home a fresh catch. If you own a boat, great! If not, ask one of your friends to go on a fishing adventure with you. Be sure to bring the bait! Bust out that Spotify app and make a go-fishing playlist that will ignite that inner fisherman inside of you. Yes, we said it. Although it isn’t the same thing as being out on the water and catching your lunch, might as well visualize it with every bite at your favorite seafood restaurant or equivalent. You can even defrost that fish from Costco and enjoy a grilled fish for dinner. The same thing can happen with any other activity, but with fishing – once you’re in the motion of things, you start acting in the present and usually start to talk about the things that matter most with the people that matter the most. Fishing gives you a chance to really disconnect from your work-life. By throwing a line in the lake, and waiting for a snag, one can get lost in the experience, and work feels a million miles away. If you need space to think, fishing is the key. It can be a powerful time for reflection to connect ideas, follow random trains of thought, and meditate. We long to be challenged, but if we’re always challenged by the same thing – it can wear us down and burn us out. Fishing is great because it calls on a different set of skills and demands something entirely new from us. We get the satisfaction of rising to the occasion when our comfort zone is being pushed.